There's a lot of reasons to like the Honda CR-V. Thanks to its leadership in such categories as quality and durability, the compact crossover continues to be quite popular in its class. That doesn't mean the automaker is resting on its laurels. 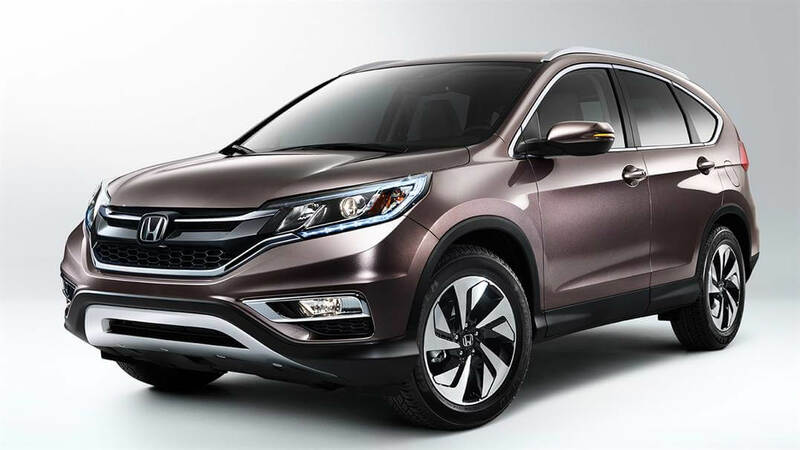 The 2016 Honda CR-V received several exciting tweaks and upgrades compared to the outgoing model. The biggest one is the addition of a new Special Edition trim level. Slotted above the entry-level LX and just under the luxurious EX, the SE provides even more choice for buyers. The LX’s standard 16-inch steel wheels, for example, have been replaced with stylish 17-inch alloys. Rear privacy glass is also standard. Finally, the SE comes with a high-end security system. The five-passenger CR-V continues to provide everything the modern driver could want. In safety alone, the crossover is equipped with front seat side airbags and side curtain airbags. Anti-lock disc brakes with electronic brakeforce distribution and brake assist, stability control, a backup camera, traction control, and a tire pressure monitoring system come standard as well. More advance safety equipment like Honda's unique LaneWatch blind spot monitoring setup is added as one climbs the trim ladder. All this, and more, help explain why the CR-V received five out of five stars in overall safety from the National Highway Traffic and Safety Administration as well as being chosen for the Top Safety Pick+ list from the Insurance Institute for Highway Safety. Continuing to motivate the CR-V is an excellent 2.4-liter four-cylinder engine good. It's mated to a continuously variable transmission which channel the engine's 185 horsepower and 181 pound-feet of torque to the front wheels. All-wheel drive (AWD) is available for all five trim levels. Fuel economy of the 2016 Honda CR-V is an EPA-estimated 26 mpg in the city, 33 mpg cruising along the highway and 29 mpg in mixed driving. * The federal agency estimates those equipped with AWD to get 25 mpg city, 31 mpg highway and 27 mpg combined. Tow capacity is 1,500 pounds in properly equipped models. Hold onto your hats for the CR-V's standard equipment list. Adding to the above safety features and engine, the base LX come with air conditioning, power windows and locks, cruise control, a tilt-and-telescoping steering wheel and column setup, Bluetooth connectivity and a four-speaker, 160-watt audio system. Notable items added by the EX include fog lights and a power moonroof, while the EX-L adds leather upholstery (hence the name). Finally, the top-level Touring comes with such exclusive bits as a power tailgate and an advance braking system.